Play along with the Crimbo Crackers challenge and you could win 7 Bugaboo images of your choice! 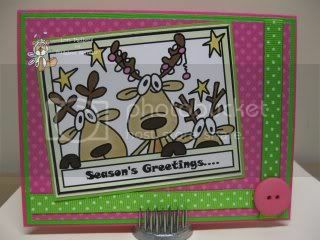 Great card, fab colour combo! Thank you for sharing with us at Divas this week, good luck! This is so cute Lori! Thanks so much for joining us at The Sisterhood ‘USING DIGIS’ challenge and please come back again soon!